Developed by choreographer and dancer, Angela Goh, Scum Ballet is a patchwork of power, desire, violence and tenderness. The female body has always been sympathetic to secrets, magic, transformation and cruelty, and gatherings of females have always produced fear and mystery, or the fear of mystery. Scum Ballet is a choreography for five dancers. More than a lone wolf, but not quite a mass, five is a gang, and gangs make their own rules. Scum Ballet slows time, but with an accelerationist attitude, not in order to produce new futures, but instead to assemble a multiplicity of fantasies. In Scum Ballet, fantasy is the weapon, the body is the ammunition, and the target is forever transforming. The beauty and the horror is that the danger is always moving, reforming, and shapeshifting, like an ethereal being, unable to be named but definitely real enough to be felt. Continually forming and unforming notions of control, it uses seduction as a means for transportation, not between places or times, but between moods and sensations – more difficult to define, but much easier to get lost in, not somewhere to settle, but something which is constantly unsettling. We know what you did last summer, but last summer could be any summer, because when knowledge is embodied it isn’t a matter of timing, but of feeling. Angela Goh is an Australian dancer and choreographer. She is working with dance in theatres, galleries, and telepathetic spaces. Her work often deals with tropes of femininity; the supernatural; and dance as both a form and as a force. Her work has been presented around Australia as well as France, Belgium, Denmark, Estonia, UK, the USA and SouthEast Asia. Recent presentations include the Asia-Pacific Triennial of Performing Art, Next Wave Festival, Auto Italia UK, and Performance Space, as well as appearing around Europe as part of Galerie’s Group Show, including at the Saal Biennal, Tallin, and La Biennale de la Danse, Lyon among others. 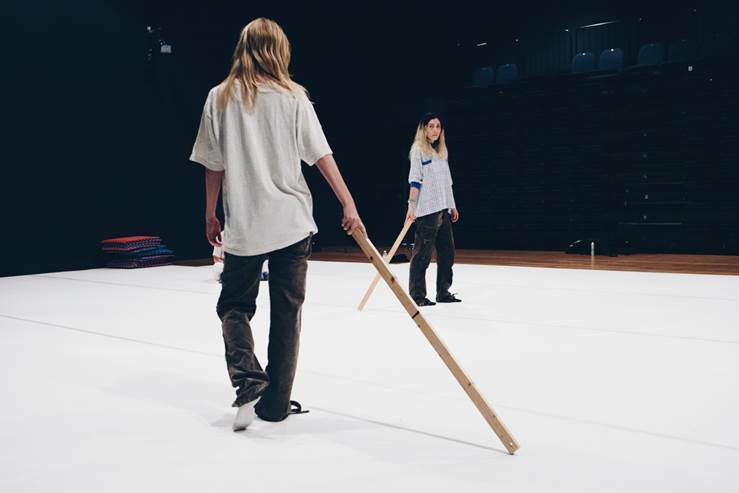 Goh regularly collaborates and performs with other artists, locally and internationally, in events including the Biennale of Sydney, Dance Massive, and Impulstanz International Dance Festival.